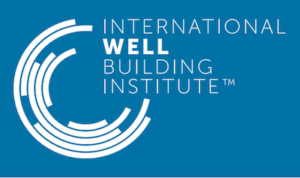 WELL Building Standard – What is it? In recent years, going green has made significant in roads in not just corporate culture, but society as a whole. Increasing energy efficiency by reducing consumption and using more sustainable building materials not only limits environmental consequences, but on the corporate level, it can significantly reduce costs. The going green industry first started with the LEED Green Building Rating System, but the WELL Building Standard goes beyond just the bricks and mortar and focuses on how building environments can impact the health and habits of the occupants with work and visit these buildings. Businesses, small and large, can expect to benefit from the WELL Building Standard rollout. In fact, according to Gallup, an estimated $450 billion to $550 billion is lost yearly on a global scale due to employee disengagement. Indoor air quality has long been a hot topic in the building industry. “Sick building syndrome” was first reported some 30 years ago, but Harvard’s School of Public Health released a study in 2015 that linked improved cognitive performance among employees working in green offices and buildings. According to a 2013 World Green Building Council study, The Business Case of Green Building, optimizing indoor air quality alone equates to an 11% improvement to employee productivity. Business owners certainly do not have to seek WELL Building Standard certification from the Green Business Certification Incorporation in order to benefit from some of the tenets of the movement. There are several things business owners can do to improve any or many of the 7 core criteria to improve employee health and productivity, as well as the bottom line–it’s definitely a Win/Win scenario. Conduct Radon testing–Radon is the second leading cause of lung cancer! If you need help implementing any of these WELL Building Standard concepts, call the Just Let Me Do It Commercial Service Pros today for a free estimate–24/7/365!